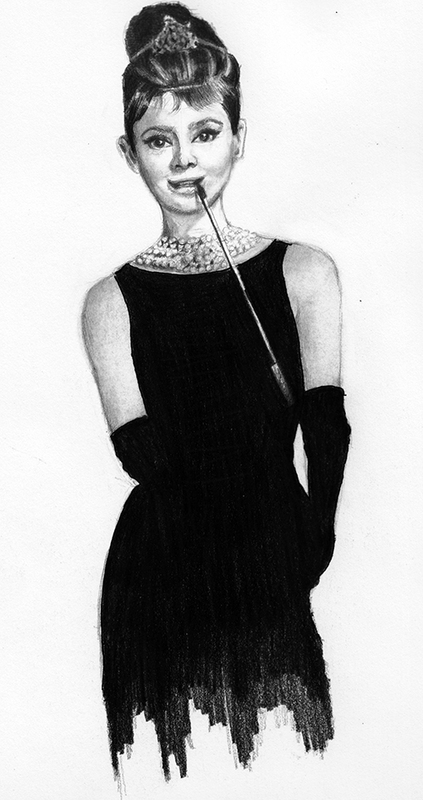 My daughter was able to find time to draw another image of the legendary Holywood actress Audrey Hepburn. A little trivia: Audrey Hepburn was wearing the little black dress designed by her friend Givenchy (a French aristocrat and fashion designer) for the opening scene of the romantic comedy, Breakfast at Tiffany’s. This entry was posted in Artwork and tagged 85th birthday of Audrey Hepburn, Audrey Hepburn, Breakfast at Tiffany's, Givency designed the little black dress of Audrey Hepburn, little black dress of Audrey Hepburn on May 5, 2014 by Yami.